We have a full roster for the 2019 tournament. 1. Must be 12 years of age or older. 2. Be willing or allowed to miss one day of school between April 8 – 12, 2019. 3. Be able to work 3 shifts between April 8 – 12, INCLUDING one day session. - 1st and 2nd year ball kids must sign up for both days of qualifying to be a ball kid. 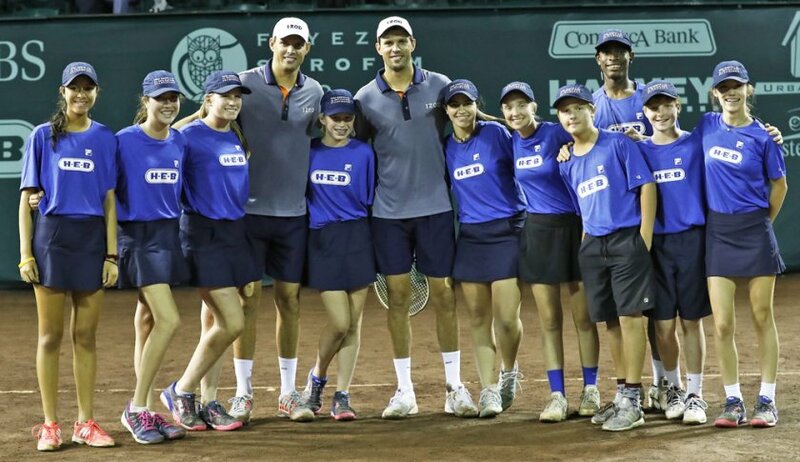 - All ball kids in which it is their third year or more, qualifying is optional but you must meet the other requirements for your shifts. - If ythis is your 1st or 2nd year as a ball kid, you must be at 5 of the 6 practices offered. - If this is your 3rd or 4th year as a ball kid, you must be at 3 of the 6 practices offered. - If this is your 5th year or more as a ball kid, you must be at 1 of the 6 practices offered. 6. Be dressed in appropriate tennis attire for both practices and matches. 7. You must be able to pass the ball kid test that is given during the last week of practice. The test will be available to be taken March 27th-29th between 3pm-5pm and on March 30th during practice from 3pm-5pm. Please make sure you are able to make one of these times for the test. There will be no make-up days and the test will only be given once during these times. 1. Be physically able to stand/kneel for extended periods of time. 2. Be able to roll a tennis ball the entire length of a court, within a 4ft area. 3. Understand the rules and scoring of tennis. 5. Understand the role of a ball kid, in positions, nets and backs. Practices are scheduled for Saturday from 3:00 – 5:00pm. *Each child must attend four practices to be eligible to work the tournament.